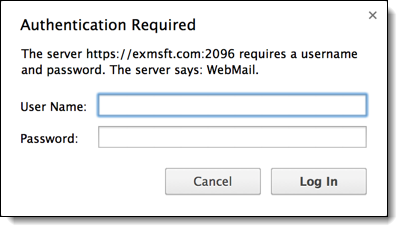 Changing your POP login password and … WebMail! 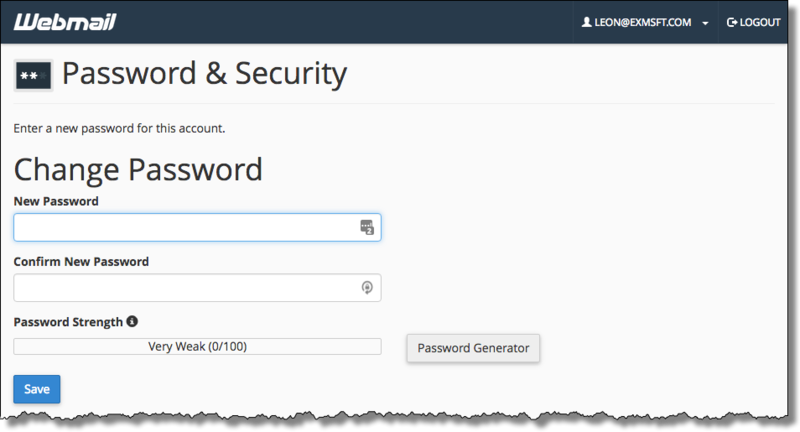 The accounts that are generated here come with a secure password. Since that’s been sent to you via email, it may be a good idea to change it. Go to https://exmsft.com:2096/ – you may get a big scary security warning from your browser that the server’s security certificate does not match the URL. Accept the warning and your session will still be encrypted. Ignore/cancel that. This is not the login you’re looking for. 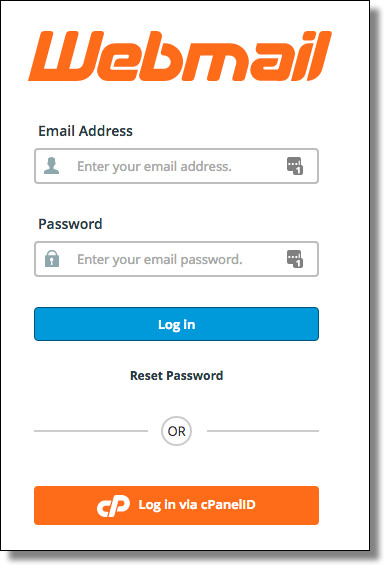 Login with your email address and your current password. In the upper right click on your email address for a drop-down menu with the various options you have here. 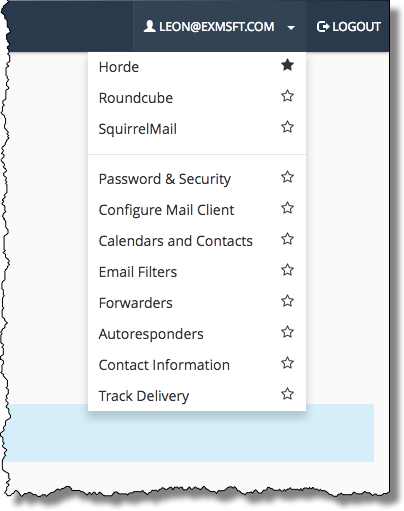 Horde, Roundcube and SquirrelMail are three different web mail applications. You can select any to access your web mail, and/or you can select one to use as the default. To change your password, click on Password & Security in that menu. You’ll be taken to a pretty standard change-your-password screen. There may be an option to ‘link to an external provider’. No idea how that works, it was added in an update long after all this was set up. Use at your own risk. You’re of course welcome to use it; it’s actually quite powerful. However: my ability to support this is extremely limited. I’ve actually rarely if ever even used any of the three. I will say that there’s lots of information on them out on the web, so if you’re having difficulties that would be my first suggestion. Please don’t use this. In fact, I reserve the right to remove forwards I find. The problem is that we forward unfiltered spam, and that can then cause the entire server to be blocked by assorted destinations of that forward.